Leicester Riders have moved to sign Phillip Leonard ahead of the start of the BBL season and the Betway British Basketball All-Stars Championship. Leonard signs to the Riders following a positive stint in Luxembourg after a great career with Mercer in the US. The Tulsa native averaged 23.5 points per game across his time at BBC Bascharage Hedgehogs in Luxembourg’s Total League, as well as 3.8 assists and 6.8 rebounds per game. 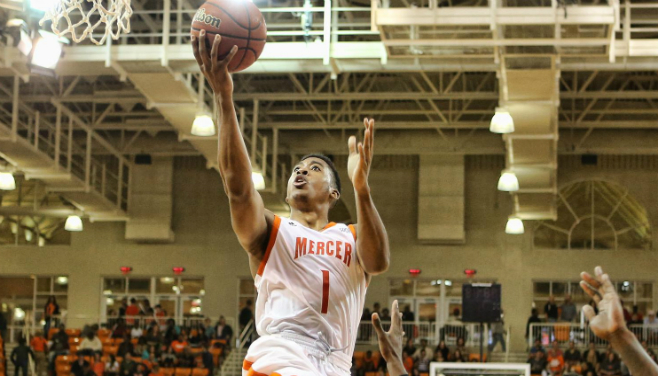 At Mercer, Leonard led his Conference in assists during the 2014-15 season, before averaging 10.6 points and 4.5 rebounds per game in his Senior season with the Bears. He joins the team following Mike Rodriguez being released due to arriving to the team with an injury. “After the unfortunate situation with Mike, we are happy to have been able to move quickly for Phil Leonard,” commented Riders’ Head Coach, Rob Paternostro. Leonard is expected to be with the team for the Betway British Basketball All-Stars Championship this weekend at the O2 Arena in London, before opening the season in Manchester the following weekend. Riders begin home action on October 6th as they take on the Bristol Flyers. CLICK HERE to grab your tickets to see the Riders roster for the first time in full.